Backyard learning is easy, cost-effective and SO much fun!!! 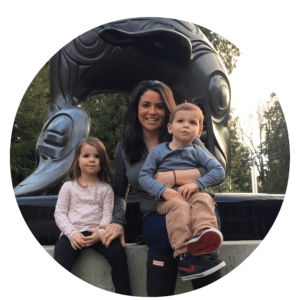 Work on math, printing, reading, and scientific discovering without leaving your backyard! Despite all of the excitement that comes with the end of the school year, there is no denying that the break essentially stops the progress students have made. Two months off can mean academic skills become a little dormant and may take some warming up before getting back to school. Before you bust out cue cards, worksheets, and activity books, know summer is inherently educational. 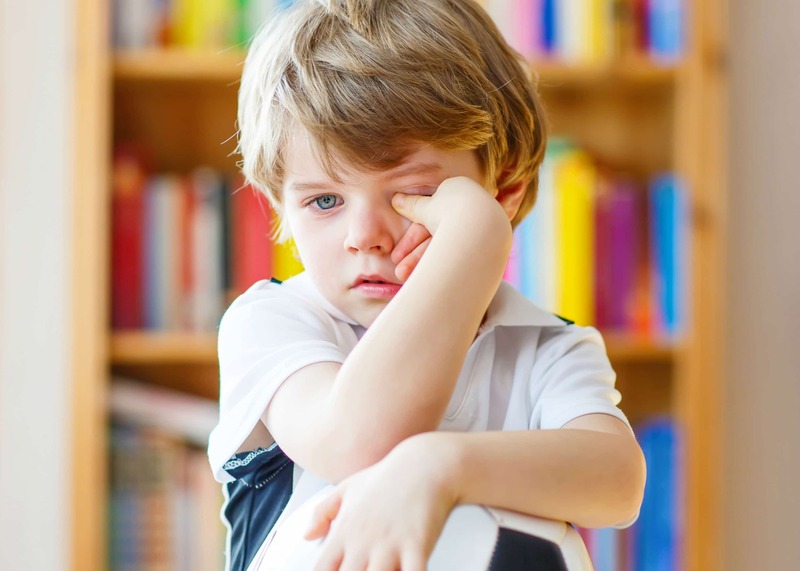 Furthermore, “[k]ids learn by doing, manipulating and playing.” Decontextualized learning such as flashcards, worksheets, activity pages are very limiting. Backyard learning is fun, simple, cost-effective, and really engaging! Actually, the outdoors can provide better learning than within the confines of a desk, paper, and pencil. 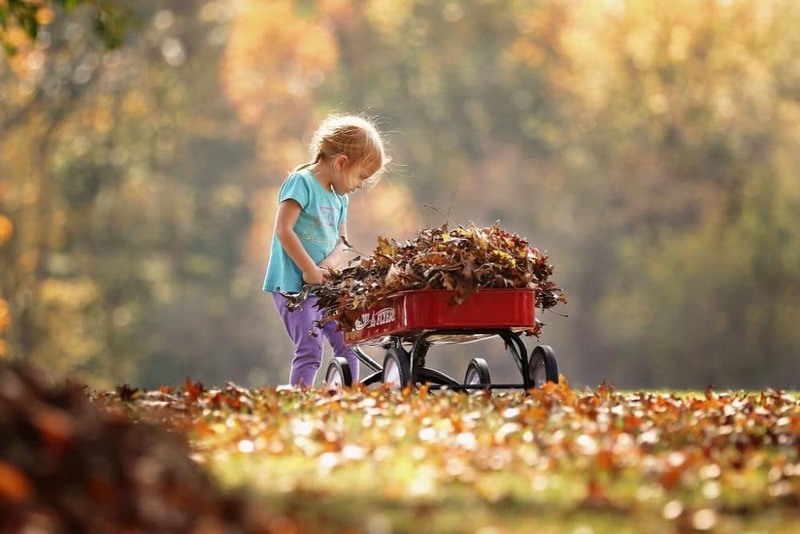 Here, I’ve compiled over 25 ideas for play-based backyard learning. 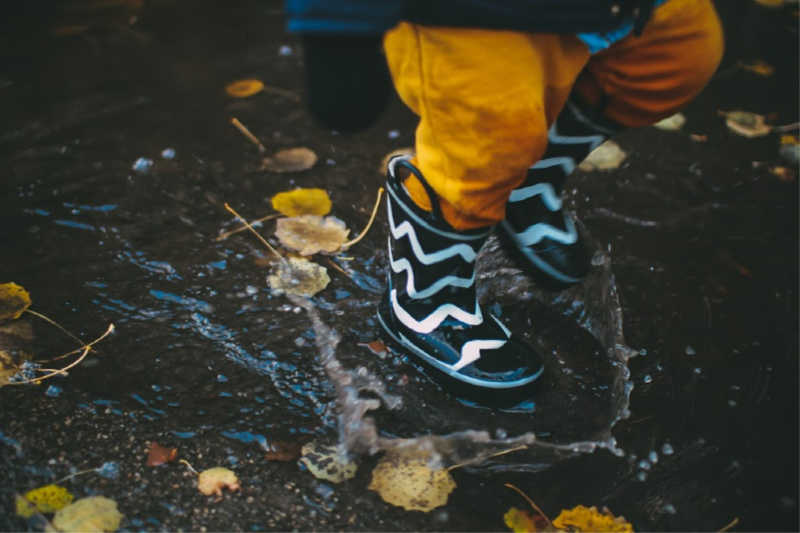 These activities are perfect to avoid the summer slide and keep your kids’ minds active until school starts. Collect a number of rocks. Using paint or a chalk marker, spell out sight words and names. Get out on local trails and encourage kids to read signs or identify symbols. Even toddlers can guess what basic signs say! Set up a game of Say and Spray. All you need is chalk and a spray bottle. This can be used for sight words or, for younger kids, letters of the alphabet. 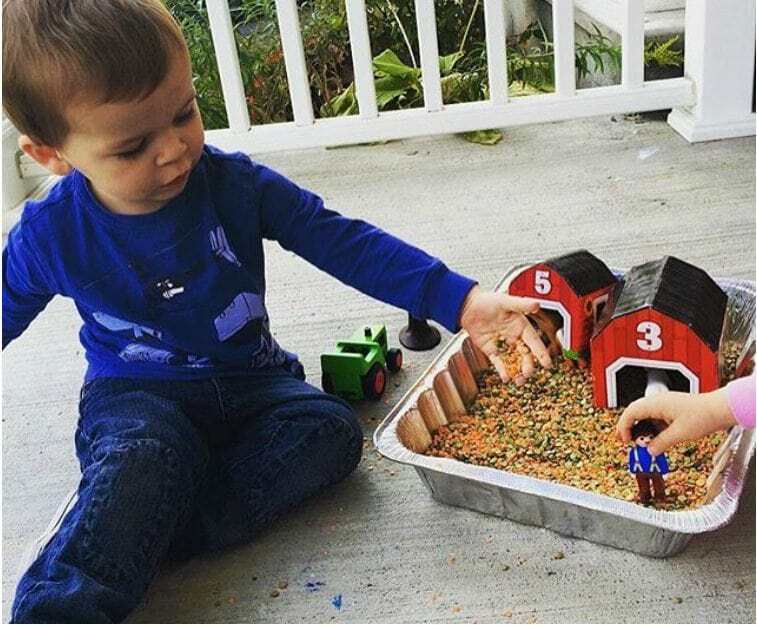 Using sand or a small pile of dirt, practice fine motor and hand-eye coordination. Draw out shapes or letters and have your child copy your example. Or, simply give them ideas of what to do and then let them explore through play! Encourage your children to create a nature journal. They can collect and paste items they’ve found outdoors, draw pictures, and even write what they experience. Collect pine needles, branches and leaves to create nature paint brushes. These are great for fine motor skills and hand-eye coordination. 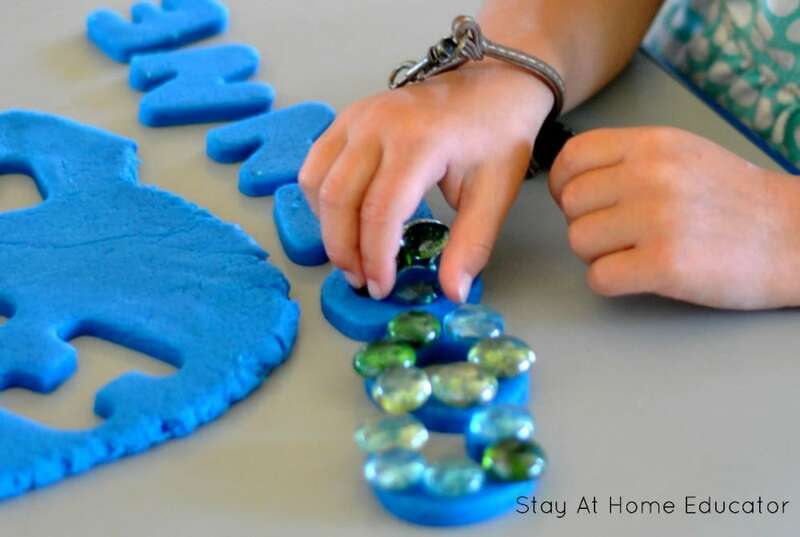 Paint pebbles and arrange them in the shapes of letters. Draw Xs and Os on rocks, use some chalk on the ground, and play Tic Tac Toe. Keeping score of multiple games is a great way to work on math. Keep score of a game of soccer, T-ball, football, or street hockey game to work on simple addition. Head out on a scavenger hunt and examine symmetry in leaves, flowers, and other items. Create patterns using items from a scavenger hunt. Write out a huge number grid with either math questions or numbers. Then play using these instructions. Teach fractions by grabbing several equally sized sticks. Break each stick in halves, thirds, or quarters, keeping one stick whole. Then compare and contrast. Collect pebbles and grab chalk to work out different math equations. Throw rocks in water. Not only does this teach cause and effect, it also is a great way for kids to learn basic physics (gravity). Set a hypothesis and explore life that exists in your garden. Planting and caring for flowers or vegetables can be a great way to learn about botany. Digging for insects can be fascinating. See a brilliant how-to here. Using silicon baking trays (can be found at the dollar store), unwrap old, broken crayons. Set them outside on a particularly hot day and wait as the sun melts the crayons. This is a physical reaction or change. Then bring them inside to let them set! Learn about the solar system with free printables and this sensory bin. 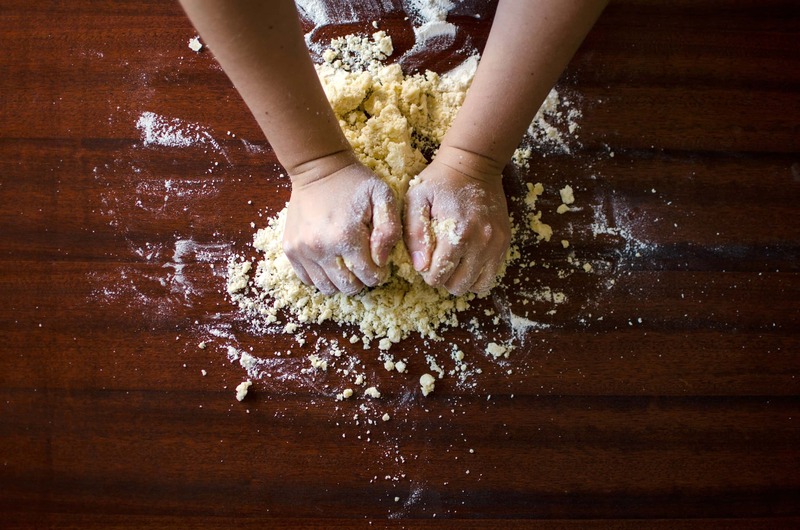 Grab a baking sheet, a box of baking soda and fill a spray bottle or water gun with vinegar. Adding little drops of food colouring to the baking soda acts as a nice target. 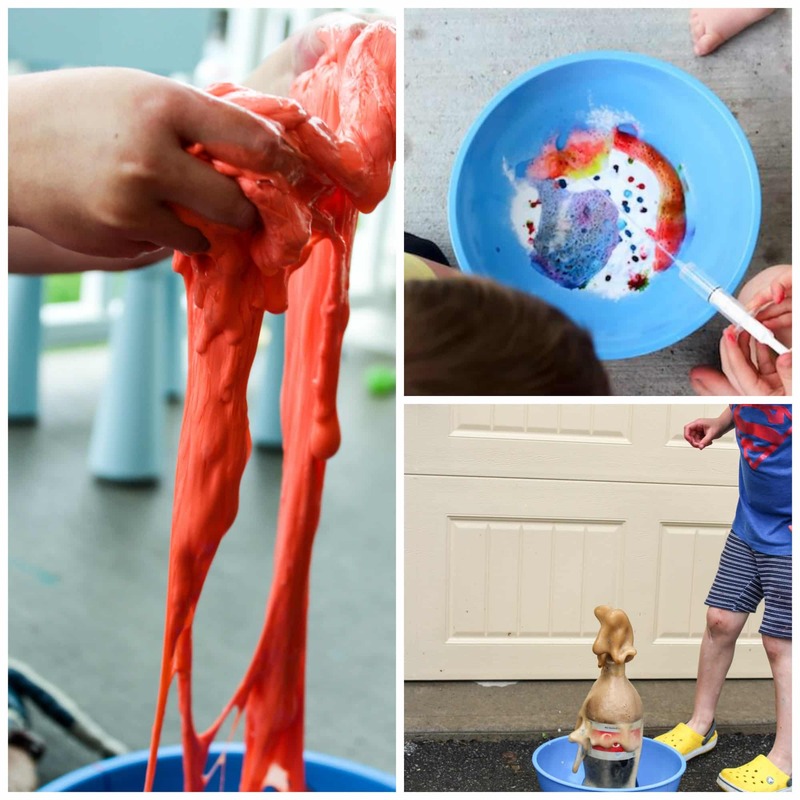 This teaches chemical reactions and is a whole lot of fun! 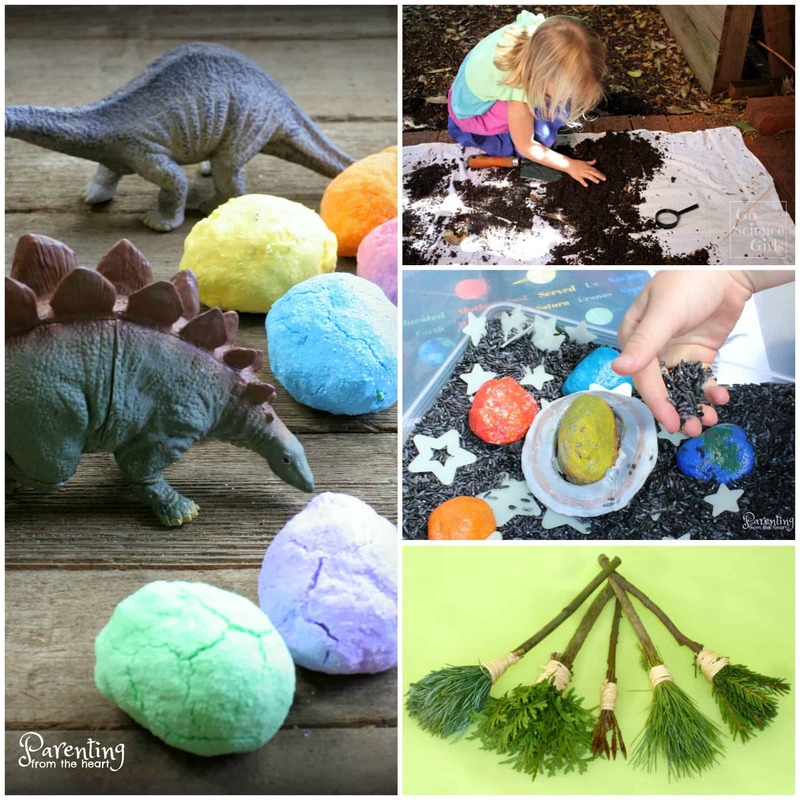 Hatch dinosaur eggs and teach your kids about endothermic reactions. All that you need is baking soda, citric acid, and water. Throw them into you kiddie pool and watch the reaction unfold! 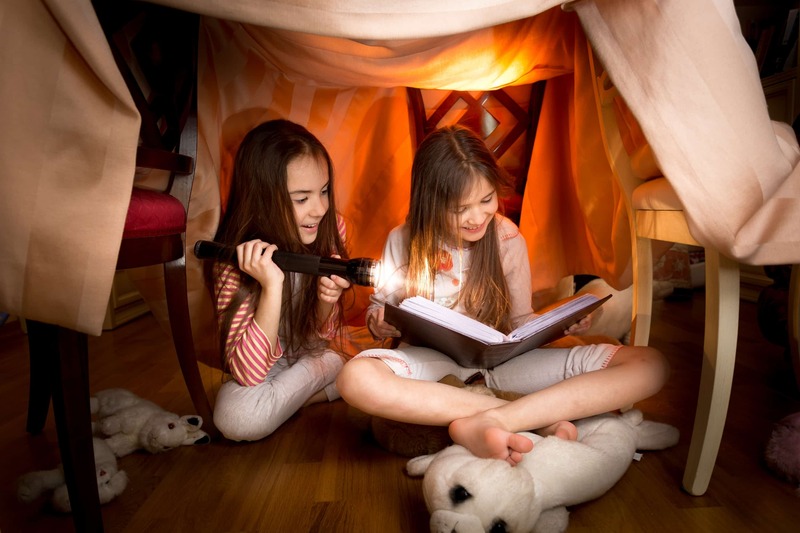 Work on basic engineering by building a fort. This how-to will make the process so much easier! Play berry picking with younger kids by hiding toy balls. Then, encourage your kids to collect them using a basket or pail. 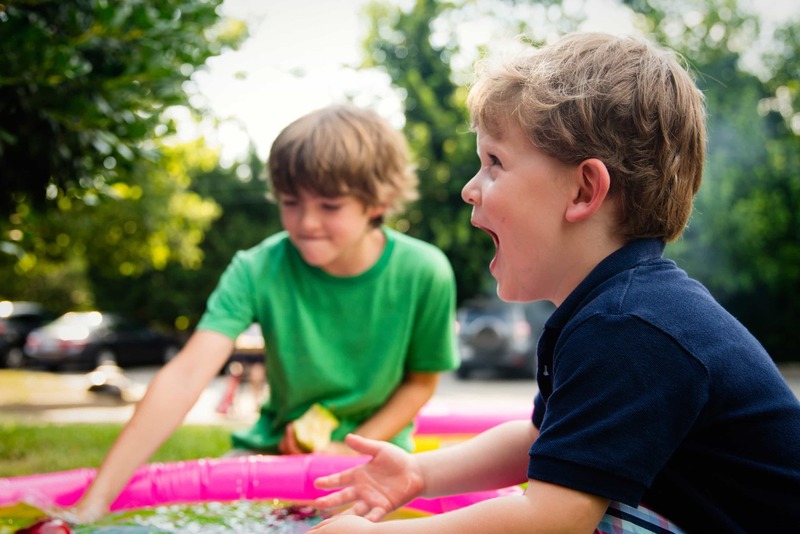 Turn your kiddie pool into an amazing sensory experience with these five simple ideas. Teach your kids about the Olympics by setting up skee ball, making a torch craft and more! Check out more great ideas like these!